In Vänersborg, Sweden in the beginning of the 1800’s lived an Englishman called Llewellyn Lloyd. He had a servant called Kajsa Andersdotter and in 1828 they had a son. He was called Carl Johan Andersson. Carl Johan travelled with his father around Sweden on hunting trips. In 1846 Carl Johan began studying at the University of Lund in southern Sweden but longed for travels. During his trips in Sweden he had collected biological specimens that he wanted to sell to finance his lust for travels. To sell his things he went to London where he met Francis Galton. Galton was an experienced traveller who had travelled in Eastern Europe as well as in Northern Africa. In 1850, Galton had joined the Royal Geographical Society and had been given the task of exploring South-Western Africa. Galton chooses his Swedish friend, now called Charles Andersson, as his travelling partner. 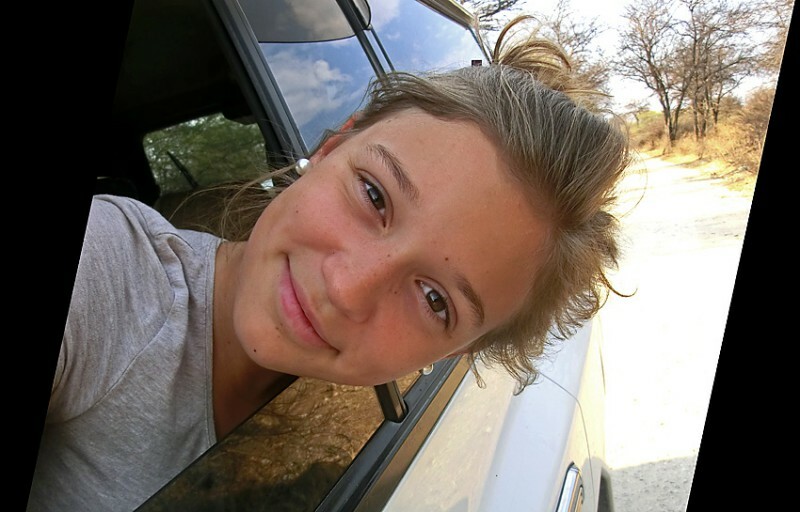 The goal for the journey was to find a route from the cost to Lake Ngami in what is now Botswana. They didn’t find their way then but Andersson returned later and found the way in 1853. Galton and Anderson were the first Europeans to come in contact with people in the Ovamboland but were refused to pass the area. They were also the first Europeans to discover the Etosha pan on 29 May 1851. The people in Ovamboland described the pan as a “bare place” which is Etotha or Etosha. When Anderson and Galton reached it they were at the eastern part, a place called Omutjamatunda (today Namutoni). Charles Anderson later returned to Europe but came back to Africa, where he died in 1867 and is buried in what is today Angola, near Ondonga in Ovamboland. The southern gate to Etosha is called “Anderson Gate”. 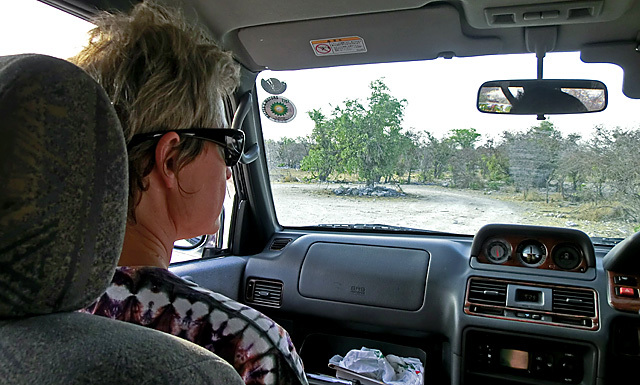 More Europeans passed the area of Etosha, amazed by the large amounts of animals to be found. Germany built the first fort in 1889 near the spring of Namutoni and in 1896 occupied the whole area. Another fortified post was established at Okaukuejo in 1901. In 1907, the Governor of German South West Africa, Dr F. von Lindquist proclaimed Etosha as a game reserve. By then Etosha was the largest wildlife reserve in the world stretching all the way to the Skeleton coast in the west with a total area of about 80 000 km². 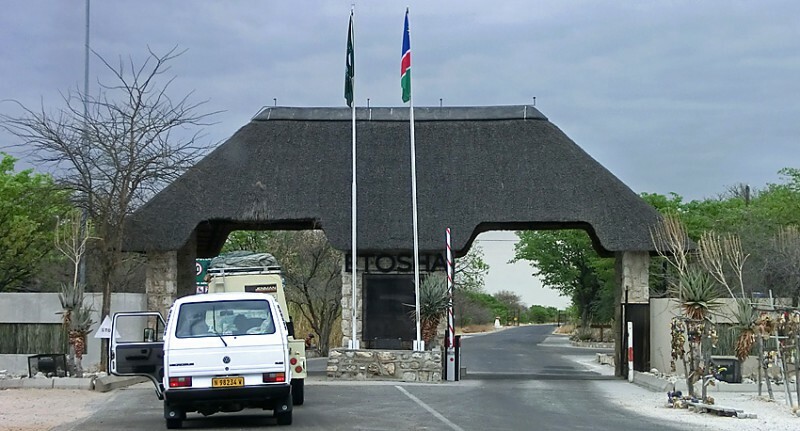 The eastern gate to Etosha is called “Von Lindequist Gate”. Since then the park has been reduced several times. 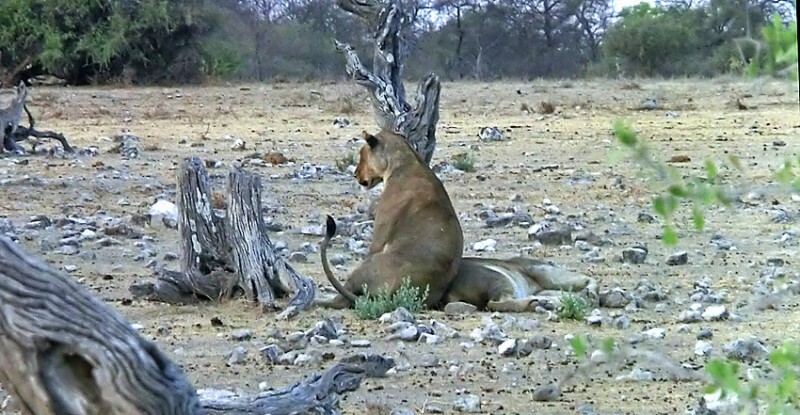 The name “Etosha Game Park” was given in 1958. It got the status of National Park in 1967. The park was again reduced in 1970 when it got its present boundaries with an area of about 22 000 km² which still makes it one of the largest parks in the world. 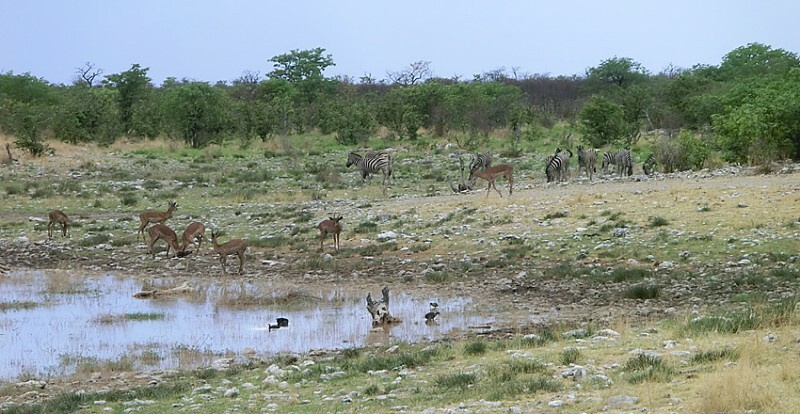 The park is dominated by the big Etosha Pan. This salt pan desert is roughly 130 km long and as wide as 50 km in places. In the park you find a lot of natural water holes and perennial springs. These have been supplemented by 50 constructed waterholes to improve the possibilities for tourists to view the animals. 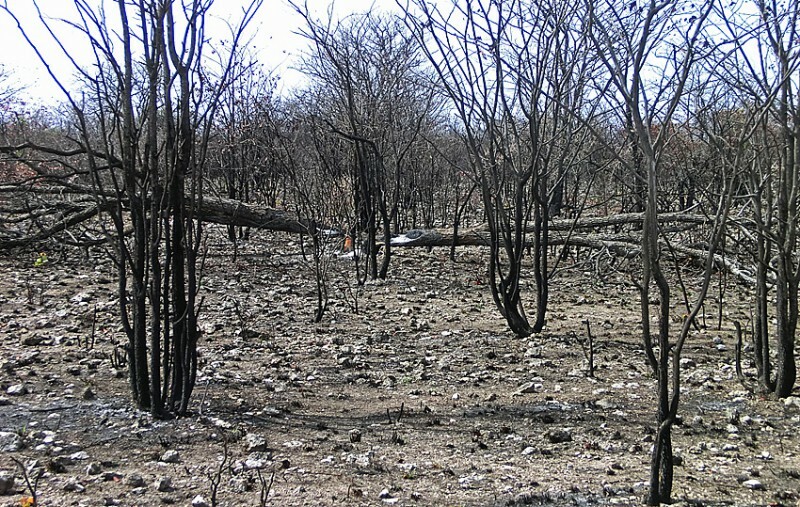 During the weeks before we came the park was ravaged by fire several times, one of them lasting four days. Several animals were killed, among them were 25 black rhinos, five white rhinos, 11 elephants, 60 giraffes, 30 kudu and three lions. Luckily the roads can serve as firebreaks. The fire was on the left side but did not continue to the right side. As a tourist you can drive pretty much as you want as long as you stay on the roads and as long as you stay in the car. We got it fixed in the Namutoni camp. And I think we did the right thing. Everything is so well prepared for us tourists that you easily forget it is for real.